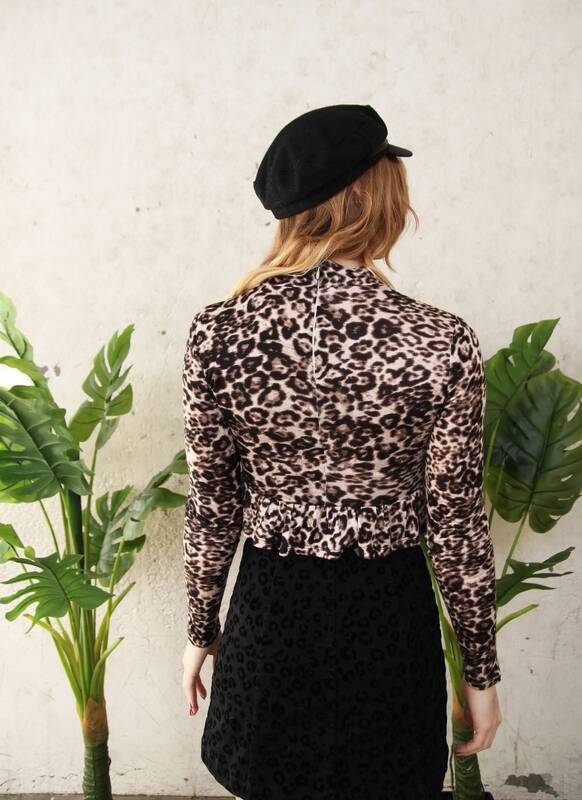 Cheetah print brings out the wild side of the wearer! Pair this top with a mini skirt and a cabby hat for a day look and high waisted skinny jeans and black booties for a night out. Light weight 4 way stretch knit fabric. Cheetah print. Long sleeved. Ruffle Edge. Cropped. Zipper closure in back. Mock Neck.